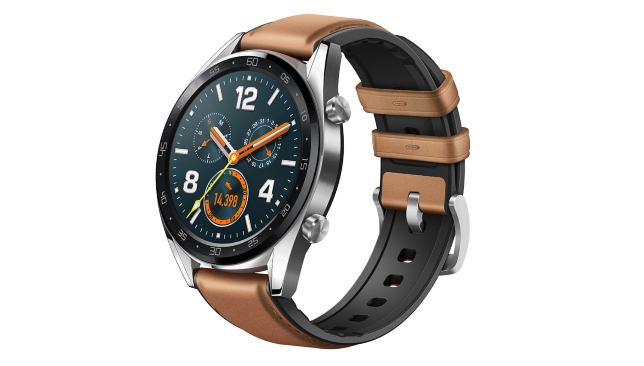 Huawei, a global leader in tech innovation, has recently launched the new HUAWEI WATCH GT, which introduces the concept of GT into the DNA of its smartwatches. As part of the launch, HUAWEI are taking part in this month’s Dubai 30×30 with roadshows at Kite Beach and JLT Park. 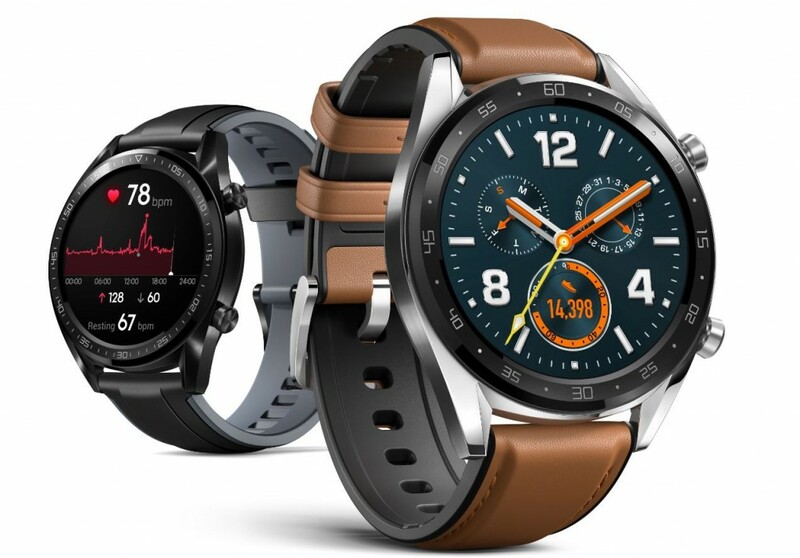 Inspired by GRAN TURISMO (GT), which is synonymous with high-performance sports cars and translates as a long-distance journey, HUAWEI WATCH GT redefines the limitations in the battery life of a conventional smartwatch and ushers customers into an era of endurance. For the 21st century urban explorer and adventurer, a long battery life is imperative to a device’s efficiency and success. To introduce the concept of ‘GT’ into the DNA of the smartwatch, Huawei turned the pages of history to draw inspiration from the automobile industry. In the 1960s, high horsepower cars, named as ‘GT’, entered the market, as a solution to small engine cars to cater to long-distance driving. Huawei focuses on providing consumers access to best-in-class technology, innovative devices and exceptional quality products, to develop more meaningful ways to stay connected. Supporting 2-week ultra-long use with low-power consumption, the HUAWEI WATCH GT is a life assistant for professional and smart services and also features exquisite design. It is comparable to a high-performance sports car as it integrates powerful functions and specifications into a compact 10.6mm body for an ultimate expression of classic wristwatch design. 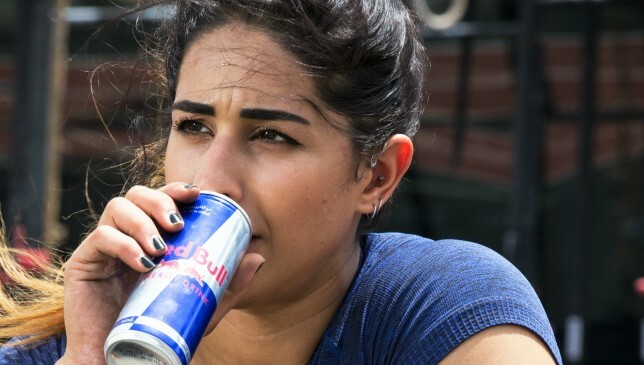 As part of her passionate endeavour to embrace a fitter, healthier and balanced lifestyle, Red Bull athlete Shaikha Al Qassemi shares her advice to take you a step closer to living better. As we transition into winter in the UAE, exercising outdoors becomes more viable. Outside my gym and at the back of it as well we have an area we usually use during the winter. We do a lot of flex pushes and other strongman workouts. We also start running outside again. Sometimes we take the roads outside to get some Vitamin D and train in the nice weather. There are a lot of benefits to training outdoors. Number one would be the benefit of getting some Vitamin D. It is very important. In Dubai we spend most of our time indoors. We don’t really get exposed to a good amount of sun to get Vitamin D.
Also, there are studies that prove training outdoors is better than working out indoors both mentally and emotionally. Just a public beach or running track are great places to get your workouts in. Public beaches are really nice. You can do open water swims and mix it up with some CrossFit movements like burpees under water. We do push-ups and we do runs on the sand. Sometimes we’ll take some equipment like kettlebells and dumbbells and do some exercises on the public beaches and tracks. As far as my diet goes, it pretty much stays stable. I count my macros. I count my carbohydrate, fats and protein intakes as well as the calories. I count that everyday except on Fridays. This is usually an open day for me. My diet doesn’t change but is a little flexible depending on the volume of workouts that I do. If I workout more then I would increase my carbohydrate intake by 25 to 50 grams to get better sleep and recovery but usually my diet remains the same. It’s always important to stay hydrated throughout the year. It doesn’t matter if it’s winter or summer. Yes, in summer you will need to drink more water because you sweat more, but in winter you have to remain consistent in staying hydrated. I recommend that for people who don’t usually drink much water, maybe have one bottle of water and add some electrolytes, perhaps with a can of Red Bull, just to increase the hydration. Climate change can often lead to illness so it’s important to boost your immunity by getting some Vitamin D. I recommend that people check their Vitamin D levels, their Vitamin B6 and B12 because that’s what helps with energy levels and immunity as well. To take advantage of this weather, it’s all about getting outside more, getting some fresh air and getting some sun each day. I think that’s very important. That keeps us mentally and emotionally healthy. Try to walk more outside than stay inside. We are all busy participating in different activities and fitness routines with a common goal leading a fitter and healthier lifestyle. 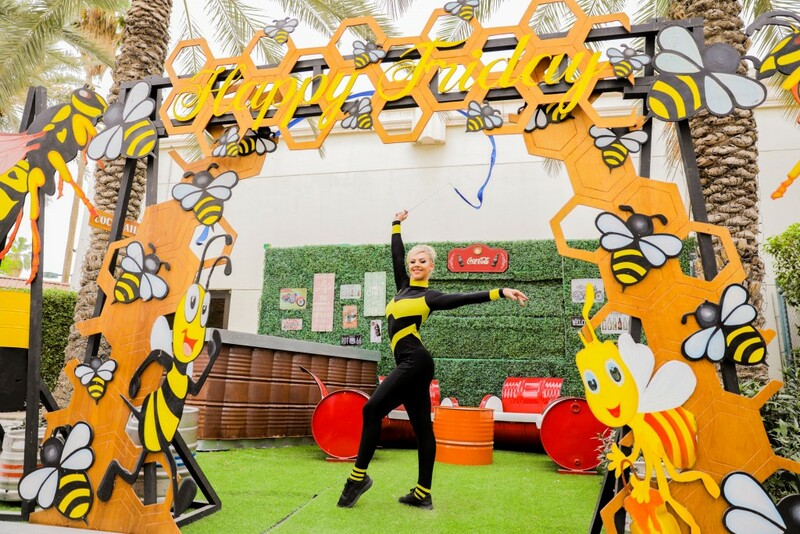 Making every fitness buff’s dream come true, FitnessInDxb in collaboration with Le Méridien Dubai Hotel and Conference Centre is bringing Dubai’s first ever Fitness brunch at Warehouse, on November 10, 2018, from 13:00 until 16:00. Starting November, the monthly social event at Warehouse is open to anyone who is interested in fitness and loves delicious healthy food bringing a wide selection of nutritious eats, the Fitness brunch, priced from Dh199, consists of a wide selection of meat-based and vegetarian dishes to choose from. 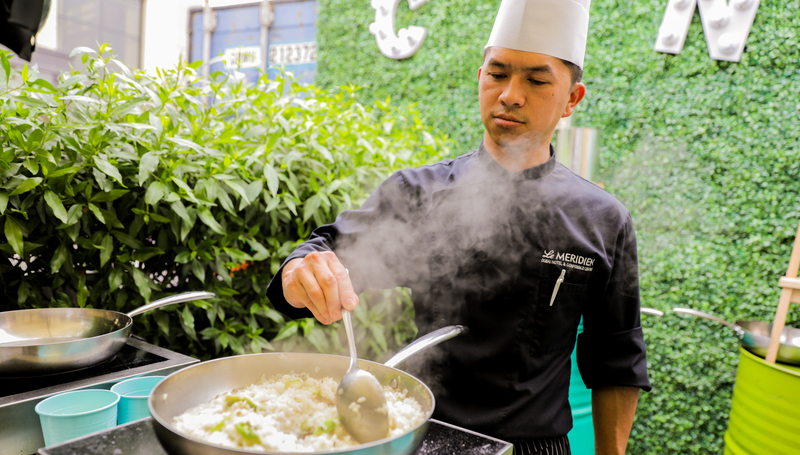 Not one to leave out vegans, the brunch also offers a delicious variety of vegan dishes that are packed with the goodness of quality produce. Also on offer are healthy beverages, made from the freshest ingredients to power up your brunch with a generous dose of vitamins and minerals. Moreover, you get to mingle with leading fitness influential personalities or even network with like-minded fitness buffs. With a first-come-first-serve basis, turn up early on Saturday, November 10, 2018, at Warehouse and catch all the revelries of Dubai’s first ever fitness brunch. Fitness Brunch is priced at Dh199 per person for starting package and Dh275 for the all-inclusive package.